Chester is a 2D platformer with over 10 unlockable characters, a light RPG element and leveling up system, loads of unlockables, around 50 levels, and 8 "styles" that allow the player to change the look of the game at will. 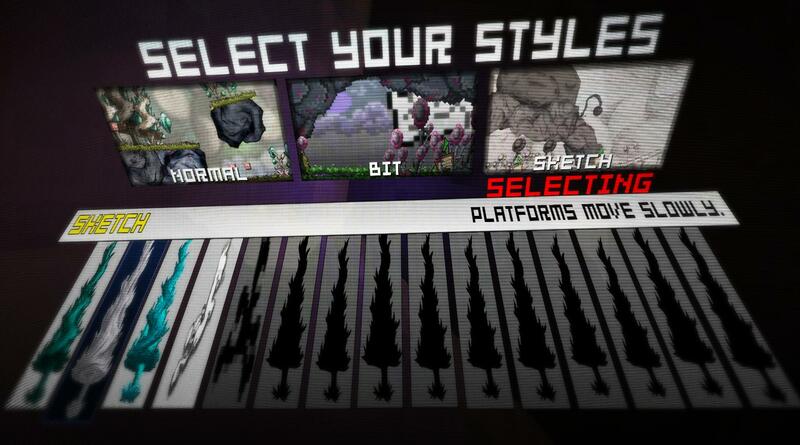 These styles include sketchbook, 8-bit, LCD, blueprints, and many more. They also each give a unique gameplay bonus to the player. 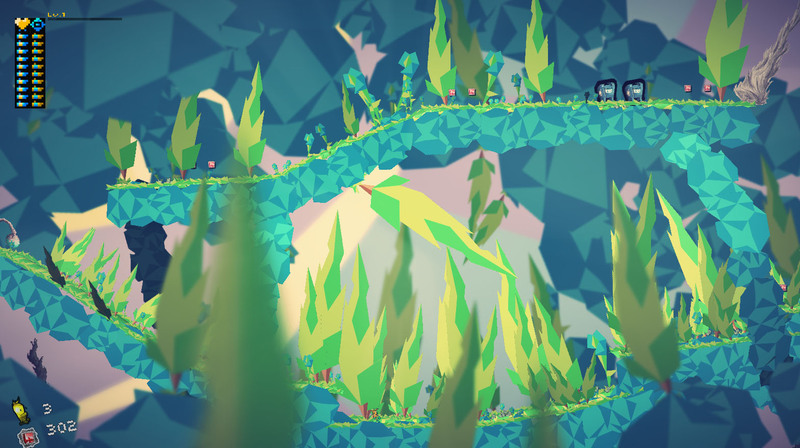 The game also includes 4 difficulty levels so that almost anyone can beat the game or get a very challenging experience out of it. You can access the demos for PC, Mac, and Linux here. 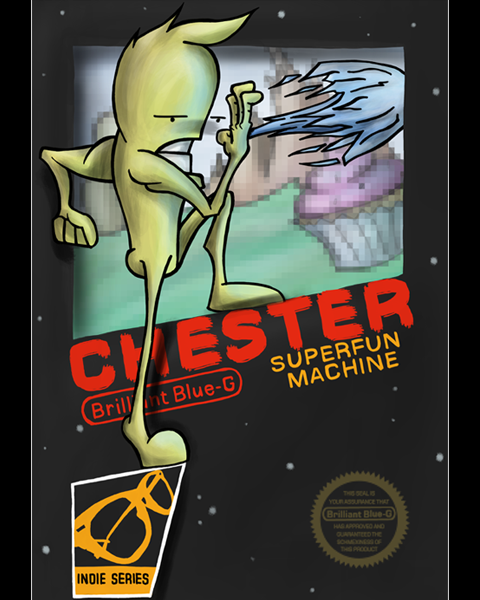 Chester United, followup to 2011’s Chester, is a platformer that allows the player to not only switch between one of many characters on the fly but also change the Style of the world around them. These Styles change the look of the entire world and grant unique gameplay bonuses such as weaker enemies, slower platforms, more items, and other benefits. There will be around 10 Styles in the final game ranging from blueprints, sketchbooks, and pixels to storybooks and more. Players will unlock new Styles and Characters as they traverse the many worlds of Chester in search of their lost cupcakes and the monster responsible for scattering them: The Bad Guy. This demo features 1 small overworld to explore, 3 levels to blast through, 4 styles to enjoy, and 4 Chesters to be confused by. Give Chester United a try with this brand new demo. Chester United weekly(ish) demo: Round Two! Back for round two of pumping out small weekly(ish) demos of Chester United to get feedback on controls and gameplay! Give Chester United's new Bestiary a try! Try out the updated Bestiary system for Chester United. A quick look at the updated Sketch and Normal styles of Chester United. Round 2 of the weekly Chester United demos that are being put out to get as much feedback on controls and gameplay as possible. Where the heck is the ship part in the Cotton Forest (Blocktopia) level of the XBLIG version? People at GameFAQs having been looking all over for it, myself included, and it doesn't seem to be anywhere in the game. Please don't tell me v1.1 is botched so that 100% completion the is impossible. Unfortunately there was a bug with the XBLIG version that causes the ship piece in that level to fall through the ground and be unobtainable. Good game but dang the default PC controls take some getting used to! Glad you enjoy it! And yeah, the controls are a bit on the wonky side. Working on getting them a little bit better for United. I got this game on Indie stand, will that version receive the updates? Yup, as long as you have a copy here on Desura or were a Kickstarter backer way back when that happened you will be getting Chester United when it releases. Excellent game with a lot of love and effort put into it. If you like classic shooters, you'll adore this game - give it a chance, you won't regret it!